On 15th June, I was invited to the Funder visit of The Royal Society hosted by the University of Edinburgh (Special thanks to Gordon Marshall for organising). The visit included presentations by Debbie Shields (Impact & Promotion Officer) and Yung Le, (Scheme Manager) from the Royal Society and talks by two Royal Society fellows, Dr Jennifer Smillie (School of Physics) and Professor Paul Attfield (School of Chemistry). The presentation by The Royal Society was informative as it went through the various funding schemes that the Royal Society offer from grants to fellowships (The Royal Society have over twenty schemes!). The selling point of the Royal Society funding is the flexibility and the charity’s drive to provide funding to individuals in search of flexible working arrangements and diversity in Science (See the Royal Society’s #AndAScientist campaign called Parent-Carer-Scientist). The Royal Society prides themselves on being a prestigious award which demonstrates your credibility; flexible funding (RS works with your circumstances) and has added value – there is additional support, mentorship, training and networking just for Royal Society award holders [Top Tip: mention these aspects in your application and how these priorities and principles of the Royal Society would support your research]. With this priority in mind it was explicitly expressed that while the idea is important and a criteria for success, it is the researcher that is funded rather than the research, therefore, you must prove that you and your research is fundable and why you are the best person to conduct it [Top Tip: Be enthusiastic]. Unlike a number of funders, the Royal Society are expanding their funding repertoire, with two new schemes announced for 2016: The re-launched from 2009 Theo Murphy Blue Skies Award that allows UK researchers to pursue innovative and bold research that us within the Society’s remit but would not be in that of the Research councils remit and the Innovation & Translation Award to promote innovation and fill the funding gap between scientific research and the exploitation of an idea through venture capital investment: Royal Society Innovation Award (up to £250,000) and the currently open Royal Society Translation Awards (up to £50,000). Another new scheme included the Royal Society’s Global Challenges Research Fund scheme – RS International Collaboration Awards for Research Professors to enable UK research leaders to develop international collaborations around the world, however, this was yet to be announced so no further details were provided. The presenters then expressed that a successful application must include: Excellent scientific merit; Creativity; Track Record; Validity of Hypothesis; career development (particularly important for any Early Career schemes) and justification for why this host institutions (is there equipment, a research team etc available that would be particularly beneficial to the project ) [Top Tip: create links throughout the points, i.e. how does your track record validate your hypothesis etc.]. The presenters also expressed the importance of your lay summary to convey your research to the panel audience [Top Tip: Make your research accessible to get the panel on board & again, be enthusiastic!]. The presenters touched on RS interviews for awards. Should you be successful and invited to interview, questions will focus on: 1. the science of the application; 2. any developments since submission of your application; 3. your choice of host institution and research group; 4. your route to independent research and 5. clarification of any issues. The presenters also mentioned that should you be unsuccessful at any stage of application that you are strongly encouraged to get in touch regarding resubmission (Not allowed for Henry Dale fellowship). Following the Royal Society presentation (and a brief exit for a Fire Alarm –fortunately a false alarm! ), the most valuable presentation was from Dr Smillie, who was awarded a Royal Society University Research Fellowship . Dr Smillie went through her journey of application which began in 2007 with the completion of her PhD, the submission of her application in September 2011 to her interview in April 2012.
structure your application so it sells your ability – draw attention to proof of your ability. Dr Smillie’s fellowship award of £527,419 began Oct 2012 and there were “immediate consequences”. Dr Smillie found that her time was massively freed up, she got her first PhD student and found that her position within her department changed. Following her award, Dr Smillie was awarded a research grant of £58K in her first year of her fellowship for a PhD studentship which “opened up an additional opportunity” – suddenly she looked like a team, had two successful grants not just one and could extend her research. Dr Smillie was nothing but complementary of the “unique opportunities” that her Fellowship had provided her with. 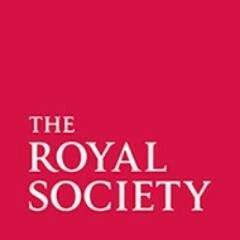 If you are interested in knowing more about the Royal Society, the best source for first-hand, new information is via Twitter (@royalsociety).